Now-a-days everybody are health conscious. 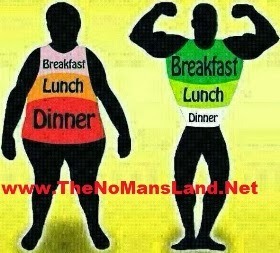 We eat, drink, do physical exercise and also have few life style changes with respect to some dietician or gym trainer. It’s a good thing that health awareness is escalating among us like a fire in a forest. Many people use to have diet control, do physical exercise, born calories in gyms, morning walks, jogging, cycling, yoga Etc. But we have to follow certain rules and regulations in order to stay feet. It’s not pretty difficult task for us to follow such guidelines, but we have prioritize on our fitness. "Health is Wealth" - It should be our mantra. How many calories you should be burning everyday ? An average man needs 2500 calories a day and an average woman needs 2000 calories. So we should consume an average range of calories per day. Not so huge amount nor too less amount. If you eat or drink too much, than you will put on weight. If less, than you'll lose weight. Make sure that your body is receiving all the nutrients it needs. Our stomach is divided into 4 parts. Two parts of it should intake food, one part for water and the other for air. If we take huge amount of food and our stomach is entirely occupied, than where will be the place for water & air? As a result it will not function/digest properly. So an average quantity of food is sufficient. "Eat breakfast like a king, eat lunch like a prince, and eat dinner like a pauper". The biggest meal of the day should be breakfast in the morning, as it provides energy for the workday. Calories in food eaten earlier of the day as breakfast are processed more effeciently than those foods eaten at lunch & dinner. This not only gives more energy, but it also helps in reducing weight.